L-3 Communications has announced that its next-generation military code (M-Code) GPS user equipment completed the final step in a government security certification process. The development and certification of this technology was performed under the Air Force military GPS user equipment (MGUE) program, led by the Space and Missile Systems Center’s (SMC) GPS Directorate at Los Angeles Air Force Base. L-3 is the first U.S. Defense Department (DoD) contactor to complete the security certification for M-Code GPS user equipment, said Michael Strianese, L-3’s chairman and CEO. 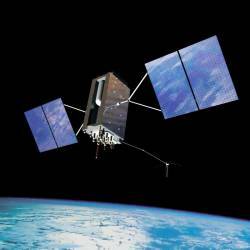 The certification review was performed by an independent government review team, with a focus on the security design of the L-3 GPS user equipment, the company said. The new government security standards will protect the navigation and timing systems and provide required safeguards for critical information inside GPS user equipment, L-3 said. L-3’s M-Code GPS increases soldiers’ ability to resist enemy jamming and spoofing in contested environments, the company said. Anaheim, California-based L-3 Interstate Electronics Corporation (L-3 IEC) is working on the project, the company said. L-3 IEC, with supplies navigation, test instrumentation, and missile tracking systems for the U.S. Navy, is part of the company’s precision engagement and training sector.